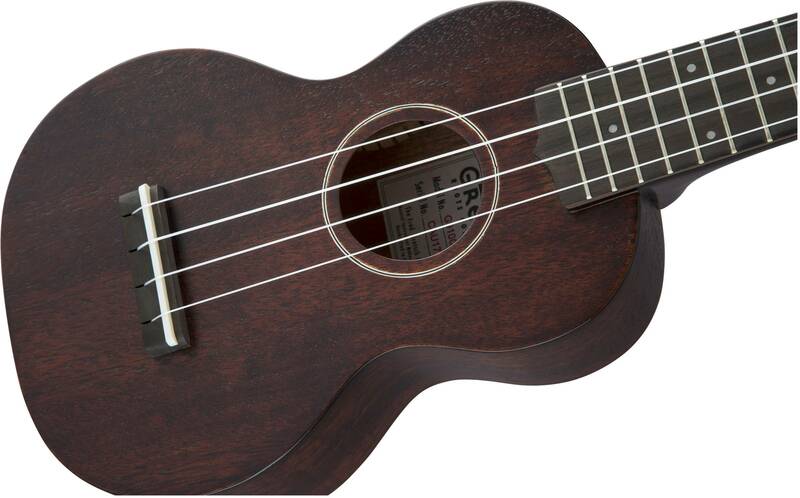 Love soprano uke tone but finding that the shorter scale is cramping your style? 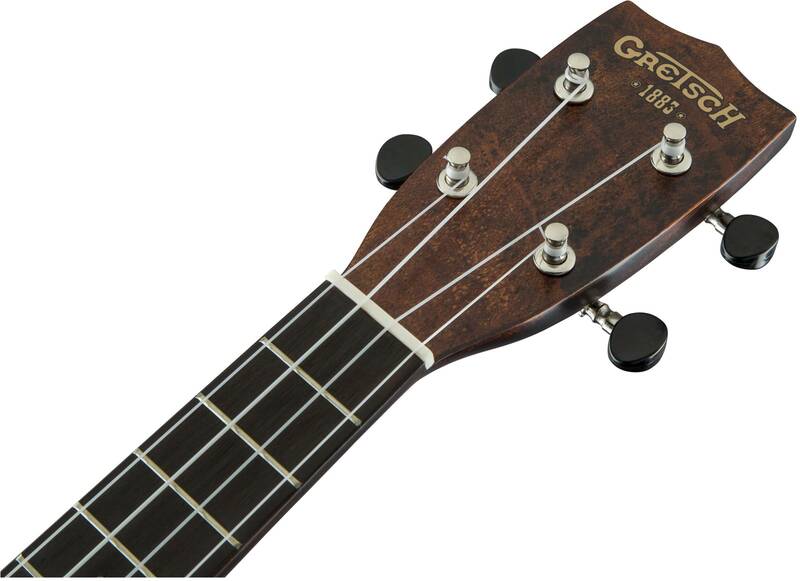 The G9100-L Soprano Long-Neck is just what the uke doctor ordered. With a 15" scale and a 16-fret concert-size mahogany neck that joins the body at the 14th fret, the G9100-L gives you all the space you need for higher-register playing. Other features include a mahogany top, back and sides, an ovangkol fingerboard and bridge, bone nut and saddle, open-back geared tuners, Aquila® Nylgut® strings and fitted gig bag. Available in Vintage Mahogany Stain, the G9100 has an "open pore" semi-gloss finish for an organic look and vibe.